Click the button below to add the Universal Charger Adapter with USB to your wish list. This universal plug adapter is not a power converter,it just converts the power outlet plug type only, it does NOT convert electrical output current and voltage. 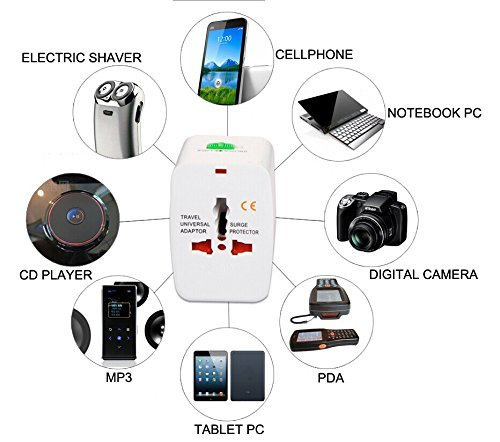 All-in-one adapter with surge protector, safety shutter and power indicator light. UK, USA, China, Japan, Australia, Spain and almost every country in the world. 2 USB port (1000mA) can be used for charging mobile phone,digital camera,mp3,iPod,iphone etc. 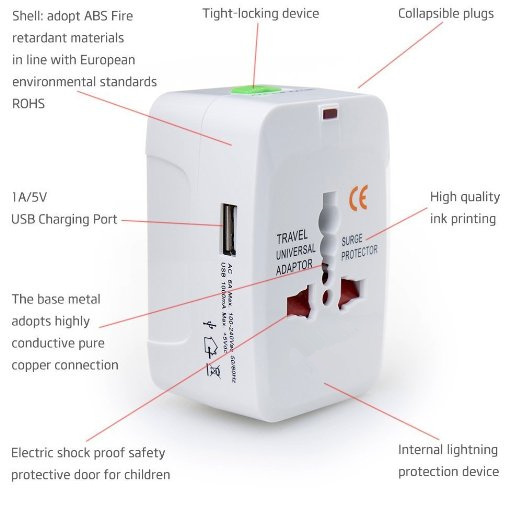 Cover more than 150 Countries with US/EU/UK/AU plugs.Volts:120-240 V,Current Rating:6-13A.